unlike amsterdam, there aren't many places in the gritty city of san francisco where you can leave a bike parked outside overnight, night after night, without a reasonable expectation that it will be exploited by thieving vermin. the parker, however, is theft proof, we hope. 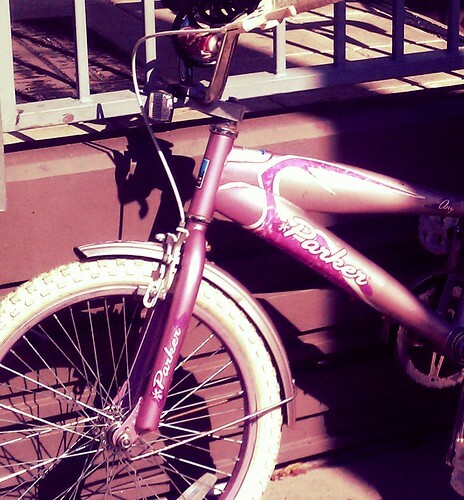 who would steal a little girl's bike locked to the railing on her front stoop? no one ever better touch the parker. 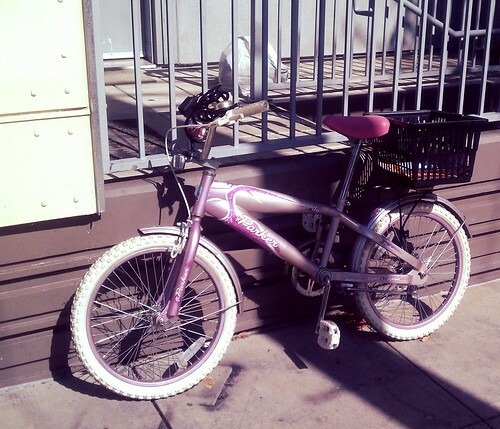 i have a feeling it's not a little girl that rides the parker, but who would steal a little girl's bike parked to "her" front railing anyway?